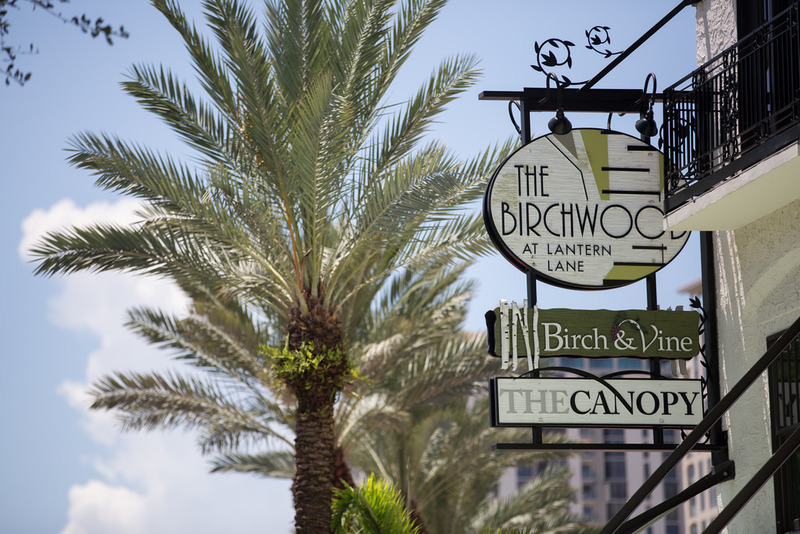 Recently opened along Downtown St. Pete's Beach Drive, The Birchwood is a historically-minded, newly-opened attraction combining the best of a boutique hotel experience, dazzling rooftop lounge, and world class restaurant into an exciting, all-in-one destination. The Birchwood was originally constructed in 1924 as the Lantern Lane Apartments. As the only apartments along Beach Drive facing the waters of Tampa Bay, The Birchwood became a popular destination for northern travelers and locals looking to enjoy apartment luxury with this rare view. Now in the National Registry of Historic Places, The Birchwood recently underwent a complete renovation which maintains the style of the Spanish Mission-style building while adding two floors and a redesigned interior. Speaking of that interior, The Birchwood is now home to 18 quaint, boutique guest rooms with amenities including four poster beds with decorated headboards, porcelain claw foot tubs, Spanish tile flooring, and custom Garnier Thuebaut linens. The Birchwood also plays home to its signature restaurant, The Birch & Vine located on the first floor. This world class restaurant offers a casually luxurious dining and drinking experience with seasonal offerings including the utmost quality meats, fish and accompaniments. But, the most attractive feature of The Birchwood might be The Canopy Rooftop Lounge overlooking the waterfront and the Downtown St. Pete skyline. This South Beach-inspired lounge boasts private cabanas, fire pits, indoor/outdoor grass, living room seating and high top tables with glass railing for complete, stunning views of the water and various Downtown attractions. In addition to the standard lineup of bar drinks, The Canopy also offers a number of specialty drinks like their Vintage Blackberry Mint Julep, Strawberry Rhubarb Cooler and the Lavender Dream Martini. The Canopy also serves a variety of flatbreads, sliders and scrumptious appetizers right from the Birch & Vine below. For more information on The Birchwood, visit thebirchwood.com.